David Oyelowo stars in this film by Ava DuVernay. 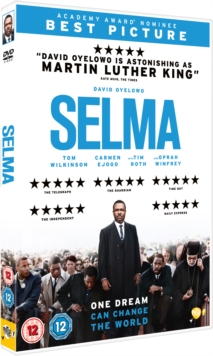 Based on the Selma to Montgomery marches of 1965 that led to the passing of the Voting Rights Act in the USA, the film follows the story of James Bevel (Common), Hosea Williams (Wendell Pierce) and Martin Luther King Jr (Oyelowo) as they campaign for the right to vote. As Luther King Jr leads hundreds of acivists along the 54-mile highway from Selma to the Alabama state capital of Montgomery, they are met with brutal opposition from the racist establishment. The cast also includes Cuba Gooding Jr, Tom Wilkinson and Oprah Winfrey. The film won an Academy Award and a Golden Globe for Best Original Song.